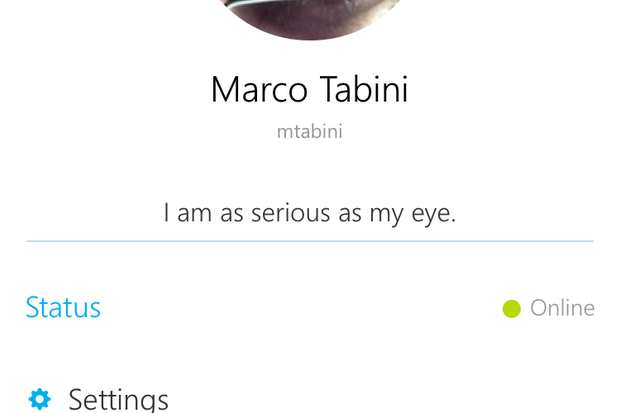 Skype has a clean interface that places extreme attention to detail. 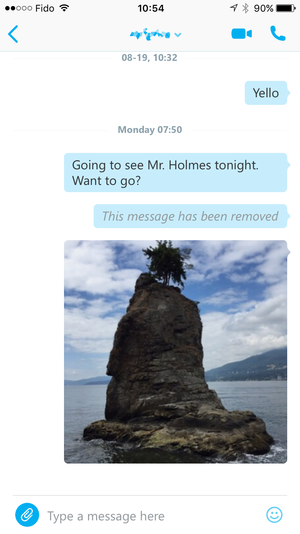 For example, the chat bubbles have almost-square corners that make is easier to view images shared through the app. It wasn’t too long ago that the technology behind Skype (App Store link) seemed like a short step removed from black magic. At a time when long-distance telephone service was still an expensive proposition, this powerful app made it possible for an entire generation of early Internet users to chat and talk with people from the other side of the world for free, regardless of the speed or type of connection they had. That was then, of course, and much has changed since: widespread deregulation in the telecom industry has lowered prices dramatically, and a slew of other players have joined the telecommunication software industry. 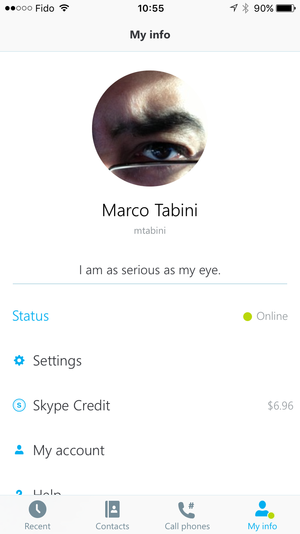 Still, Skype, which was bought out first by eBay, then by a consortium of private investors, and finally by current owner Microsoft, is still around, and its brand new version 6.0 for iOS devices has just hit the virtual shelves of Apple’s app marketplace. Rather than relying on completely separate screens like Messages, Skype makes heavy use of pop-overs, which results in a user experience that's much easier to digest. 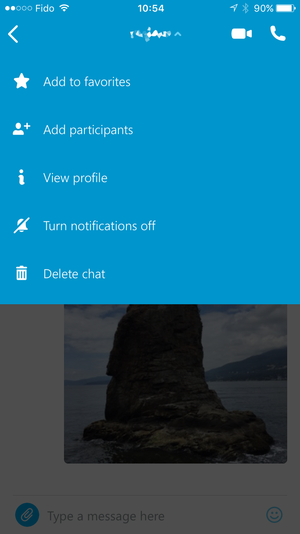 According to the release notes, the big selling point of Skype’s latest incarnation is a streamlined user interface, and there is no doubt that the company’s designers have put a lot of thought in the way people ought to be able to communicate with each other without drowning in a sea of options and settings. The app, which works on both iPhone and iPad, offers functionality that is divided in four sections: recent conversations and calls, contacts, phone calls, and a My Info screen that provides access to account settings. The UI uses a very flat visual look that incorporates elements of Microsoft’s Metro design language and yet feels perfectly at home on iOS. Look and feel aside, user interaction is buttery-smooth and responsive, with quick, purposeful transitions between the different screens and states, and many small touches that make for a great experience. For example, when the keyboard appears or becomes hidden, Skype uses a simple cross-fade transition to reposition the chat panel instead of the resizing animation used by many other apps; it’s a tiny detail, but it makes things much less disorienting. As you would expect, Skype really shines when you’re interacting with other users, and it’s interesting to see the kind of usability decisions that the designers have made, particularly compared to Apple’s built-in Messages app. For example, you can start an audio or video call with a single tap of your finger, without having to first transition to a different screen like you do in Messages. 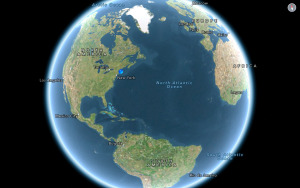 Attaching a photo, sending your location, or recording a video message all require an intermediate step that uses a simple pop-over panel instead of a separate full-screen window crowded with all kinds of information. Speaking strictly from personal experience, I must say that I like Skype’s approach better here, because it more closely matches the way I tend to communicate with others: most of my conversations start with a quick text message, and often evolve into a video or audio call. I also find myself sharing my location quite often of late—an action that in Messages requires an inordinate amount of user attention, but that Skype makes easy to use even if you’re walking around a busy mall. In addition to Skype-to-Skype calls, you can also dial up a regular phone line and pay either a per-minute rate or an unlimited monthly subscription fee—a feature that comes in really handy if you’re travelling, since free Wi-Fi hotspots are easier to come across than cheap long distance plans for your cell phone. Skype’s communication protocols are a well-oiled machine; as a result, they work quite well under pretty much any network condition, and both voice and video calls sound and look great regardless of whether you are on Wi-Fi or cellular. Voice quality, in fact, is better on my iPhone than it is on my desktop, probably due to the handset’s dual-microphone setup, which reduces noise pickup. The settings screen—simple, clean, and well organized. The app also supports audio group calls, although it is not capable of doing the same for video. This isn’t a big deal on iPhones—I suspect that the bandwidth and power requirements are probably a bit too high for it—but it certainly seems like a wasted opportunity on the iPad, where the larger screen would make for a perfect conference call experience. Unsurprisingly, given that Apple does not make the necessary interfaces available to developers, there is no support for screen sharing as well. 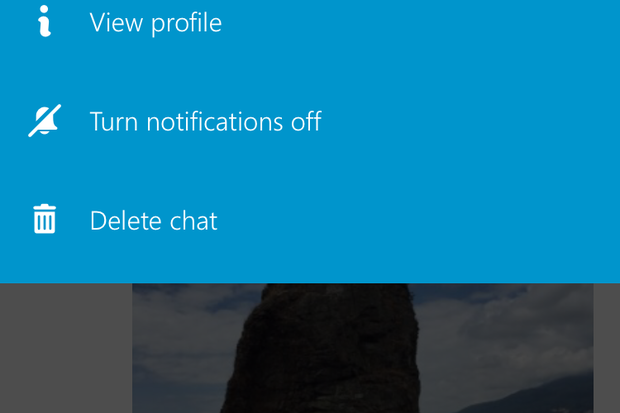 That’s a bit of a shame, because this kind of functionality could come in handy, but certainly not a problem that’s unique to Skype. 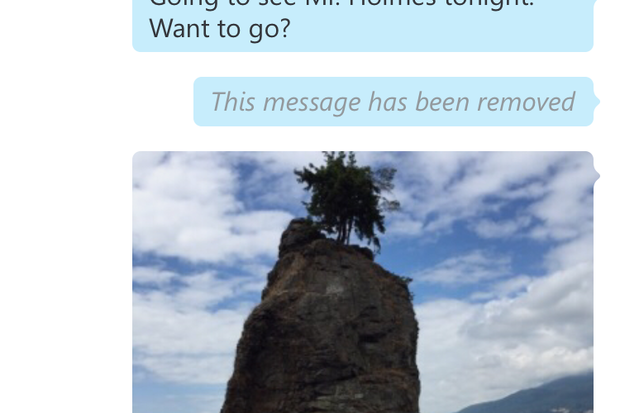 I really like the latest version of Skype. Microsoft’s renewed focus on a tight user experience that places a premium on attention to detail and eschews gimmicks could be just what’s needed to elevate the app out of the many “wilderness years” of neglect that have afflicted it since eBay purchased it in 2005. Still, its biggest weakness may well be the fact that, while it was once the only app of its kind, it is now one of many players in a crowded market, and one that is not installed by default on any operating system—a fact that might hinder its growth in the long term. Skype deserves a spot on your Home Screen, especially if you need to communicate with others who do not use one of Apple’s operating systems. The app is a joy to use, works remarkably well, and comes with everything you need to get your message across via text, voice, and video. Microsoft’s communication app gets more than a facelift, with a streamlined user experience, rock-solid performance, and support for both audio and video calls.